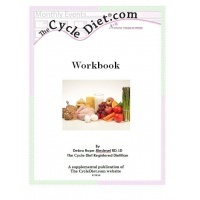 The quick start Cycle Diet program includes a 60 minute private consultation with the Cycle Diet Dietitian and your choice of the Original Cycle Diet, weight-loss and or gluten-free workbook binder. 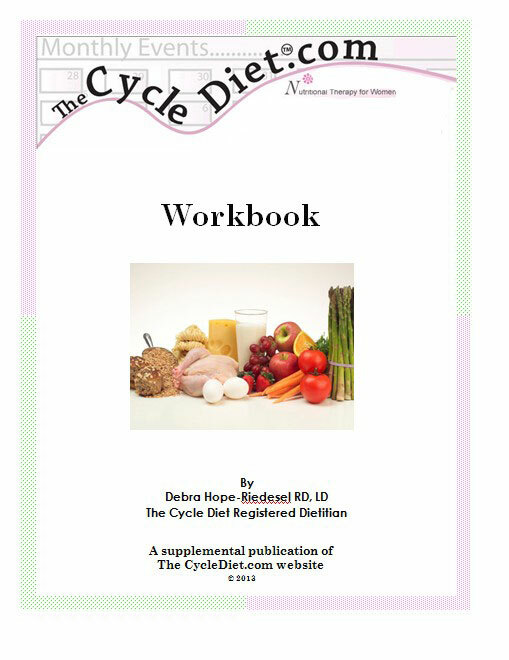 Each workbook includes menu plans for both the follicular and luteal phases, eighty+ recipes for breakfast, lunch, dinner and snacks. The workbook has much of the text from the website along with more resource and reference material. You will also receive access to the client-only section on the Cycle Diet PMS/PMDD support board and forum for additional support and motivation from the Cycle Diet RD. ($4.00 will be automatically added for shipping inside the US. Select $19.00 internationally) Call (515) 221-0236 to order by phone.